This product is designed to endure wind and rain at the velocity 45m/s without excess deformation and damage. 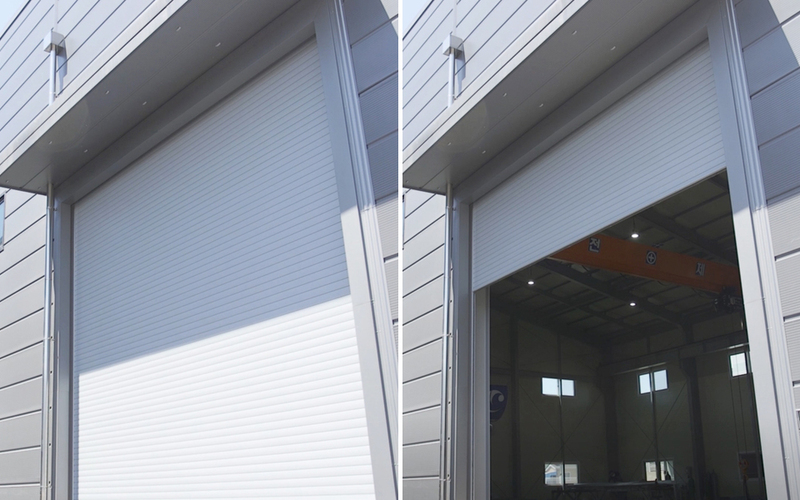 By blocking cold and external air, this door helps to make a work place clean. The door is effective at protecting internal materials and facilities, helping to support fast carry-in & out. 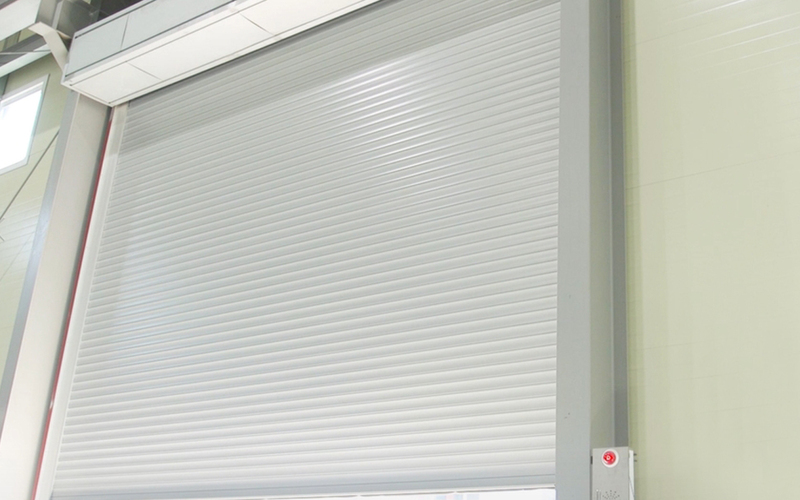 As the aluminum 6063 extruded product, this double aluminum slat (DRS-72) has the strong T-5 durability. The thickness of one side is more than 1.3m/m. The internal and external thickness is 15m/m. Its height is 72m/m. The double slat has two main bars. As the aluminum 6063 extruded product, this guide rail has the strong T-5 durability for wind pressure. more than 100mm-160mm is applied. in Guide Rail to fix Al slat in order for the slat to endure strong wind pressure. manually at power failure in order for quick access.